We shot gorgeous Helena’s session at Hartwood Mansion in the area between Fox Chapel and Allison Park. This is an absolutely stunning location, LOVED it. The bookish/historic background reminds me of Hogwarts! The downside is that there are other families there doing portraits there too, but I don’t mind that too much. So along with this perfect weather day and location came my perfect subject, Helena! Happy photographer. We tried a few different looks and lighting scenarios to create a sense of variety in her images. Helena’s favorite was the one of her sitting on the steps. I like the ones with the flowers in the background. This was the first session I shot with my new Canon 5D mark IV! I am so thrilled with its performance! The only disappointment was the Dual Pixel RAW feature–it takes up so much more memory and the software is really clunky. When you change the pixel layer (? ), you have to export as a TIF which destroys my whole RAW workflow. I might use this more if they add a Lightroom plugin or something faster & easier to use. Not sure it will ever make sense for me if you have to color correct within the DPP software though… I have been refining my system in Lightroom for so many years and this messes up my batch editing process. In the last several images I tried to capture Helena’s free spirit. I loved meeting you and your mom! Thanks for doing portraits with me! Missy Timko is the photographer behind Powder Blue Photography, a boutique photography studio located in Pittsburgh, PA. She specializes in newborns, maternity, families, seniors, and headshots. Missy’s style is simple, natural, and clean, both posed and lifestyle photography with beautiful natural backdrops, and Missy also runs a studio in the West End Village in Pittsburgh. There are many session options, from full length custom sessions to quick updates of just the kids, inside the studio or outside in a beautiful natural or urban location in Pittsburgh. Contact Missy for availability. When Lily contacted me to do a senior portrait inside of Crossfit Mt. Lebanon, my first thought was, “Yes!” But then I actually saw the inside and that quickly turned to “Wow!” The gym itself is gigantic, not at all the cozy spot it looks like from the street. Lily and her whole family hit the gym at Mt. 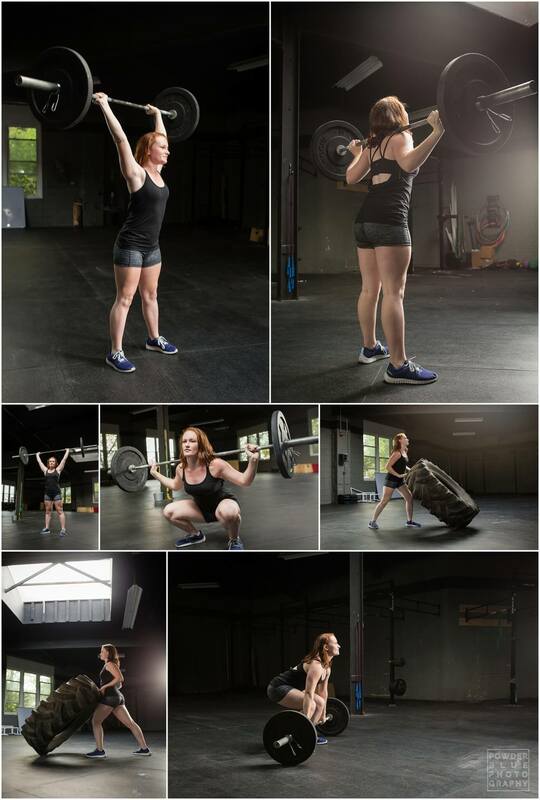 Lebanon Crossfit, and she wanted to incorporate that into her shoot. 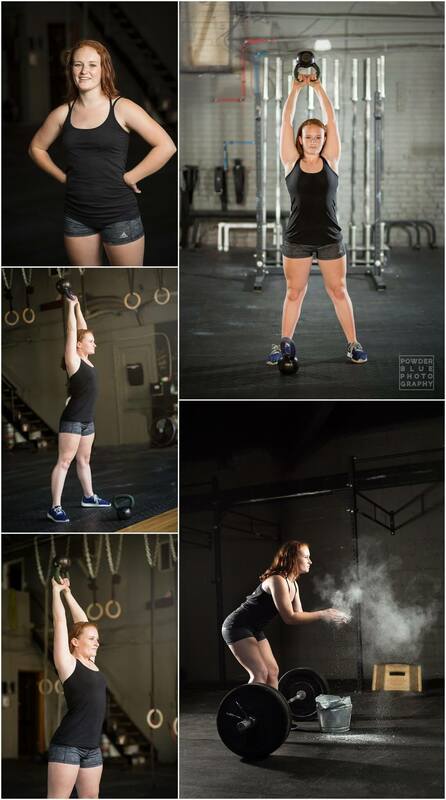 In planning, Lily taught me a little about Crossfit, and then I planned the lighting and atmosphere in an effort to show the commitment and strength that belong to a Crossfitter. I was thrilled to see that the gym at Mt. 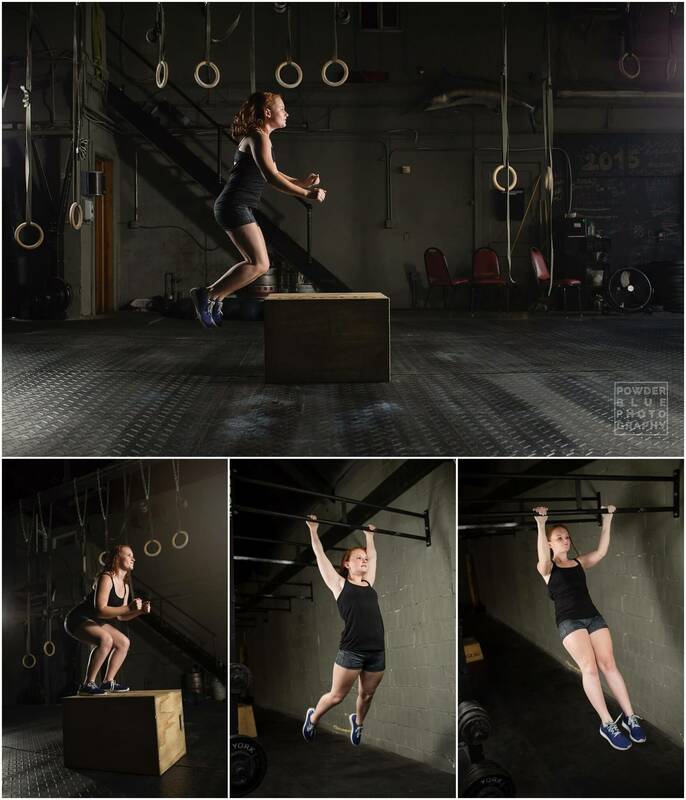 Lebanon Crossfit is so spacious and has beautiful skylights and dark walls. Lily showed me around the gym and performed the standard tasks involved in a Crossfit workout while we took her senior photos. 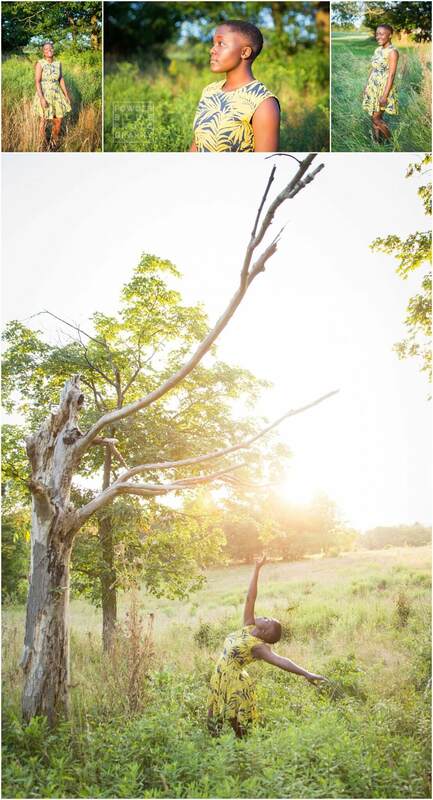 Once we captured Lily’s strength and passion for fitness, we hit up a local park for some beautiful sunset portraits. She brought along her best friend, and though he is a high-energy dog, he ran right over and posed for photos, it was adorable! It was pouring rain just hours before this shoot, and it turned into a gorgeous day with bright pink sunset skies–no color enhancement happening at all on those pink images below. 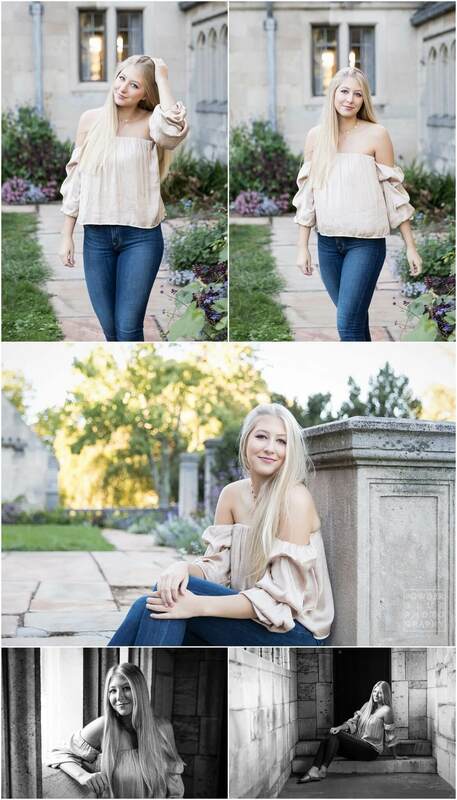 Thanks Lily for shooting your senior portraits with me–you are a wonderful and intelligent young lady with a hysterical and fun family who loves you to pieces! I wish you the best with your future! HEY, CLASS OF 2017–It is time to think about booking your portraits! Spring of senior year is the best time to book, and summer of 2016 is the best time for shooting. DO NOT wait until school starts to book your session–yearbook deadlines for seniors are at the very beginning of the school year, and seniors usually like to wear summer outfits and have summer sun in their portraits. Contact me now for info on senior sessions. My senior portrait involved a piece of scalloped velvet that was clamped on around my shoulders, and a single unretouched studio portrait–location shooting was not on anybody’s radar back in 1995. Check out my totally 90s senior portrait here. Thank goodness that has changed (unlike my haircut, which is quite similar), as evidenced by these location shots of the gorgeous Tasha M below. My job in these shots was to capture Tasha’s essence– she’s a beautiful, easygoing, fun, kind and natural young woman–and also capture her confidence and elegant maturity. 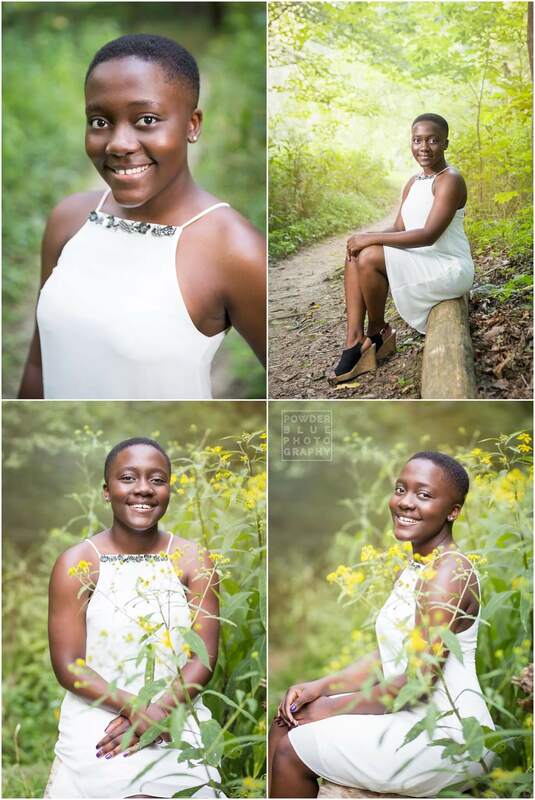 Senior portraits are a time to showcase talents and personality! 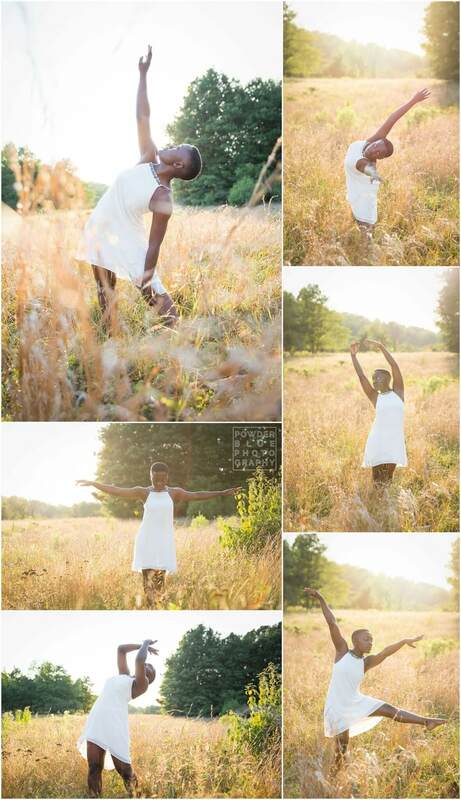 Tasha is passionate about dance, and with very little direction from me, she confidently danced and leapt around the field, creating a series of rhythmic and lyrical shapes for me to photograph, mingled with the light and colors of the summer setting. 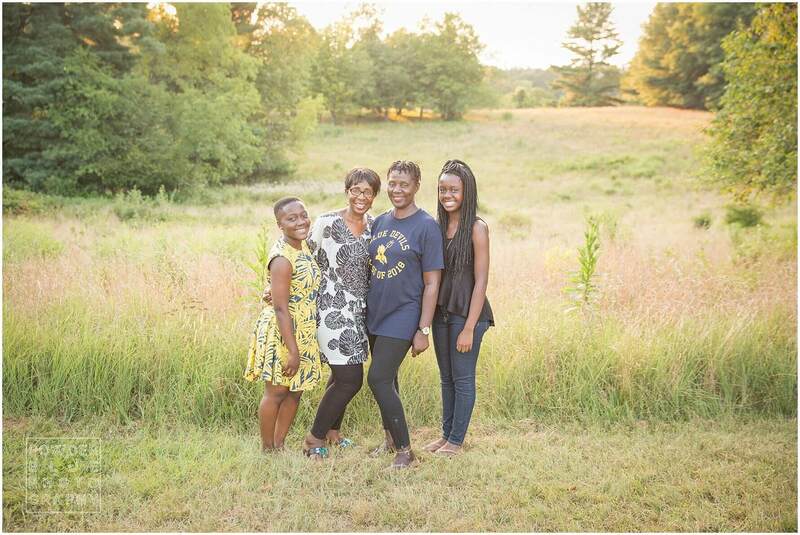 I always encourage seniors to schedule their session for summer (beautiful sunsets and summer clothes seem to be popular with this age group), so March-April of Junior is the ideal time to book. While this white dress on Tasha’s beautiful skin was amazing, she also wanted to experiment with having her wear a vivid print. You guessed it–also amazing. I wish Tasha the best as she goes on to college with the goal of studying to become an MD. Missy Timko is the photographer behind Powder Blue Photography, a boutique photography studio located in Pittsburgh, PA. She specializes in newborns, maternity, families, seniors, and head shots. Missy’s style is simple, natural, and clean, both posed and lifestyle photography with beautiful natural backdrops, and Missy also runs a studio in the West End Village in Pittsburgh. There are many session options, from full length custom sessions to quick updates of just the kids, inside the studio or outside in a beautiful natural or urban location in Pittsburgh. Contact Missy for availability. 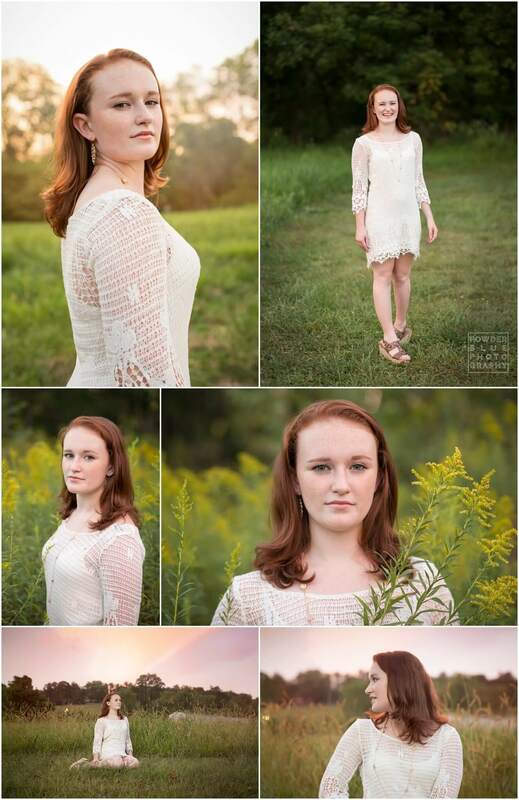 I have been working with many seniors in the past couple months and I love it so so so much! They are so vibrant and full of personality! 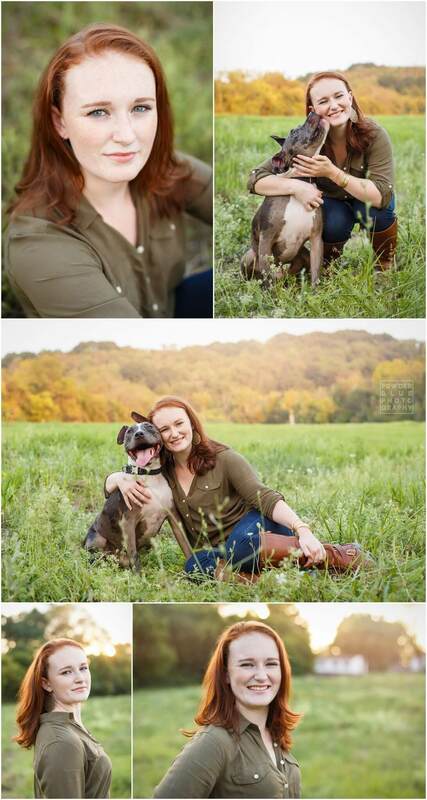 I had way too many keepers from this session but these next two are my absolute favorites. I just love her expression and her pose. This is a spot Elena picked out at Mellon Park for its pretty skyline in the background. So Pittsburgh! Love it. Make sure you take a look at the outtakes from this session on my Instagram! It can very difficult to get a serious expression from someone who is so sparkly and happy, but I managed to get a few and they are as gorgeous as her smile! Thank you so much Elena! It’s been an absolute joy working with you! Are you looking for a family or senior portrait photographer in Pittsburgh? Powder Blue Photography offers on location family portraits in and around Pittsburgh, including the South Hills, McMurray, Peters Township, Canonsburg, Bridgeville, Upper St. Clair, South Fayette, Mt. Lebanon, Cecil Township, Squirrel Hill, Regent Square, and Shadyside areas. Please contact Missy to discuss session options! I had the honor and pleasure of photographing the 2015 Fashion Show at Mt. Lebanon High School. I’m told this is an annual tradition that goes back many years! The theme this year was “Our 15 Minutes of Fame, ” inspired by Andy Warhol, and proceeds from the event went to Best Buddies and Mt. Lebanon’s Officer Reimer. The girls in the fashion club did an amazing job coordinating the show, and the clothes were top notch, some even designed and sewn by Mt. Lebanon students. I was extremely impressed overall by the professional and kind attitude of Mt. Lebanon students and am so proud to be a part of this wonderful community! 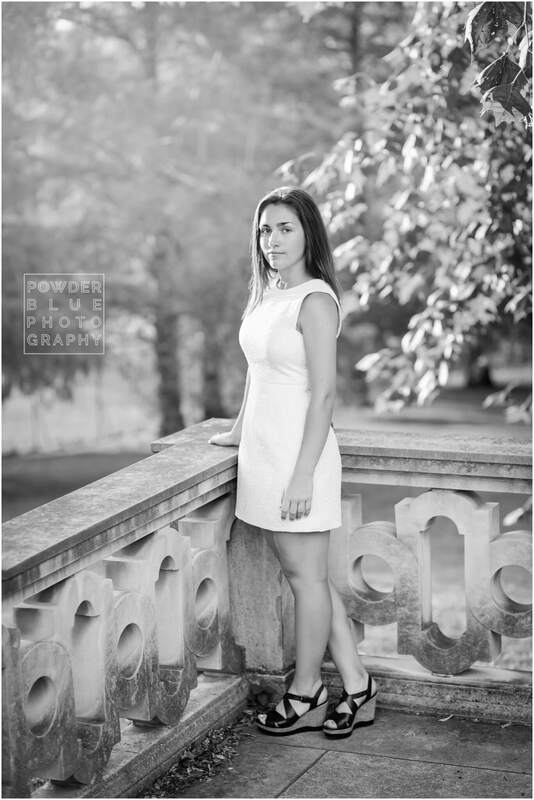 Are you looking for a senior portrait photographer in Pittsburgh? 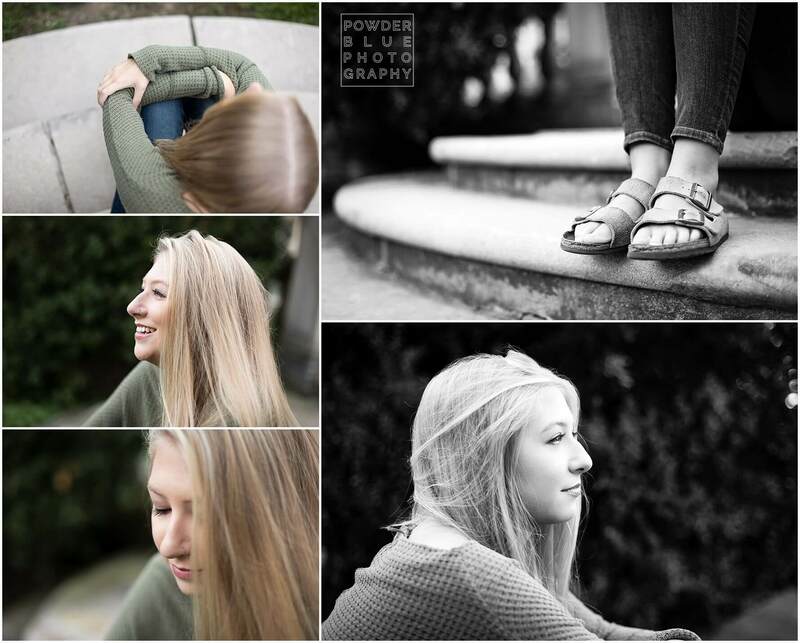 Click here for senior portraits by Missy Timko from Powder Blue Photography. Powder Blue Photography offers on location portraits in and around Pittsburgh, including the South Hills, McMurray, Peters Township, Canonsburg, Bridgeville, Upper St. Clair, South Fayette, Mt. Lebanon, Cecil Township, Squirrel Hill, Regent Square, and Shadyside areas. Please contact Missy to discuss session options!